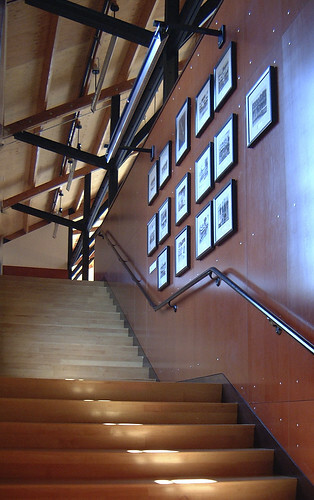 Design and produce exhibit and signage program for the Rowing Center. The Cal Crew invested in a long term strategy designed to educate and inspire its athletes and alumni- past, current and future. 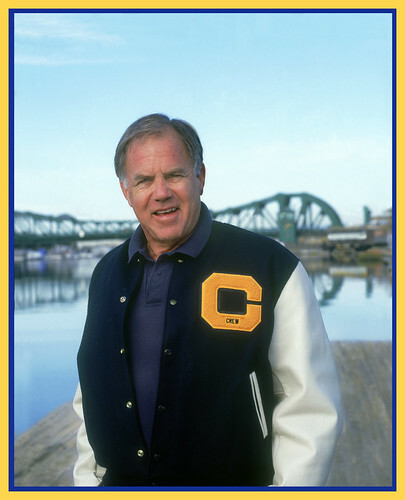 Led by the Friends of Cal Crew, the T. Gary Rogers Boathouse opened November 2004. It was designed to complement the historical Ky Ebright boathouse, which was preserved on its new site along the Oakland estuary. 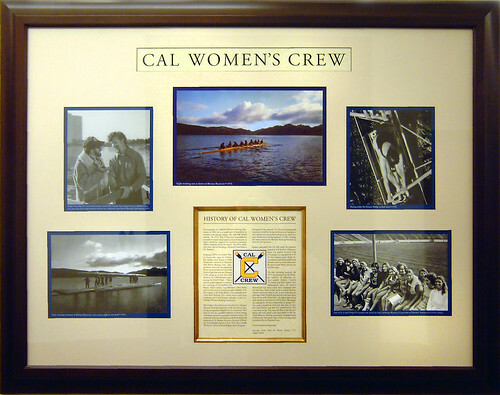 The Friends of Cal Crew Memorabilia Committee wished to fill the new boathouse with images and artifacts representing the history of the Crew - from inception to present day. Cal Crew traced its origins to 1899, and the features included the three Gold Medal Olympic victories that occurred in 1928, 1932, and 1948.
Business Image Group designed the program through a collaborative process, assisting the Memorabilia Committee led by Russ Levikow, with content selections and layouts. Most of the content was scanned so as to create high resolution 'legacy' files, and digitally mastered for select pieces used in feature exhibits. We refined the caption information that accompanied the presentations, produced the final prints and framed the work in our facility. Installation was handled by our crew. Hall has been a commercial and fine art photographer since 1976. To see more examples of Hall's photographic work, click the link below. Design and production of cast bronze and etched metal signage for the donors to the Boathouse project. The Blue Room is the historic centerpiece of Cal Rowing, hallowed ground with fond memories from rowers that goes back generations. The original boathouse was relocated to the current site from its original location and restored, and is now a local landmark. 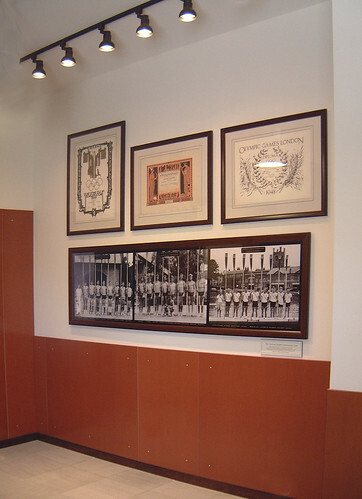 Exhibits in this room include a original cartoons, and memorable moments of the Crew, featuring the legacy from the days of legendary coach, Ky Ebright. The upstairs 'Erg Room' in the T. Gary Rogers Boathouse. Within this newly opened facility, training is underway today to develop a new generation of champions to carry on Cal Crew's tradition of success. This original calligraphy on parchment was created to honor the mottoes of Coach Jim Lemon, Varsity Coach. He used these memorable sayings to encourage and prod his crews onward to victory. Crew members of the time all remember these sayings and can often quote them in exact detail noting how they were etched into their experience of Crew. High-resolution scanning was done from vintage prints to enable the display prints for the exhibit program. They were then digitally enhanced and/or restored for clarity and to remove defects.